Buy Tickets from ฿600 advance. ฿800 door.keyboard_arrow_down Buy Tickets from ฿600 advance. ฿800 door. Jaspreet Singh Live (Hindi Show) with special guests! 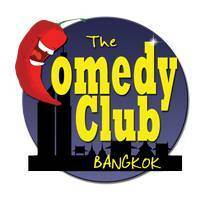 The Comedy Club Bangkok very proudly presents Indian comic superstar JASPREET SINGH. A self-described innocent and harmless looking creature highly allergic to the stupid arguments people give in the name of logic, Jaspreet observes the world and brings humor out of it. His quick paced commentary on things might range from his self-awareness or the lack of it to the stories from his life, interactions with fellow human beings that made him the nice person he is. 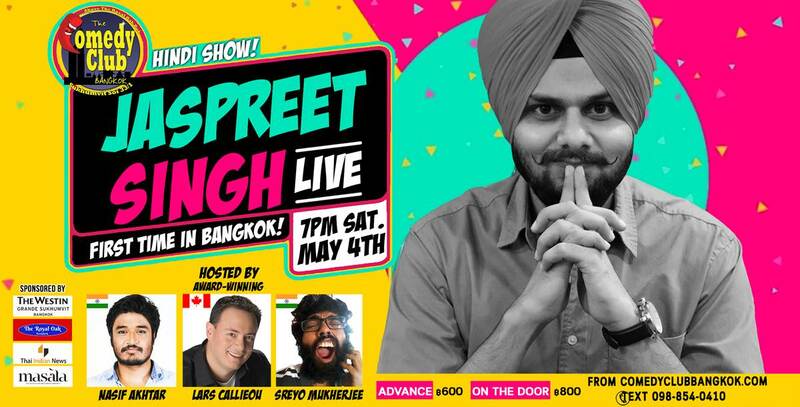 With fellow Hindi comics the upcoming SREYO MUKHERJEE, Mad Bee Comedy Club founder NASIF AKHTAR and award-winning, TV Special comedian LARS CALLIEOU hosting, this is going to be an incredible night of comedy! So come see as JASPREET SINGH brings out jokes and stories that last over an hour with an anticipated end result 'Banda toh sahi hai yaar'!